The first 125cc scooter from TVS breaks the surface: the TVS NTorq 125. Are we ready for it? To say the Indian motorcycle market is maturing would be a gross understatement. The slew of large displacement motorcycles to have hit our shores is a clear indicator that customers want more. Not more to ride of course, but more laurels to sing of. And along with this upheaval of displacement, scooters are embracing the onslaught as well. 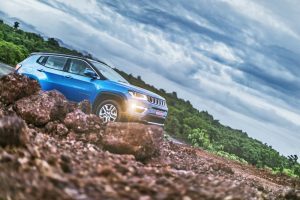 It’s not like the road or traffic conditions in India have improved to call for more displacement, it’s simply a matter of wanting more; more style quotient, more features, more bragging rights. Two gentlemanly Japs, one temperamental Italian, and a burly Indian have been in this 125cc arena for a while now. However, this segment has only recently become the new talk of the town. 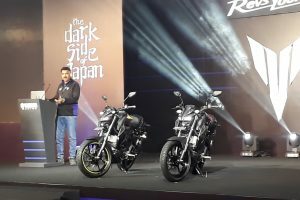 Honda launched the Grazia late last year, TVS followed with the NTorq 125, and finally, Aprilia launched the SR125 at the Auto Expo 2018. Aimed squarely at the urban jungle, these scooters are redefining the benchmark in what is to be expected from a 125cc scooter. 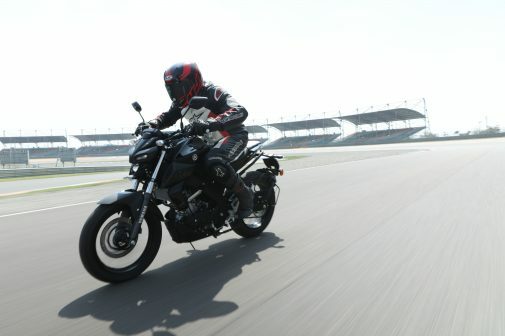 Loaded with features, technology and fresh styling, we hop over to TVS’s test track in Hosur to experience the all-new NTorq 125. First off the bat, this is the first 125cc scooter to roll of TVS’s production line. As always styling is a very subjective matter. 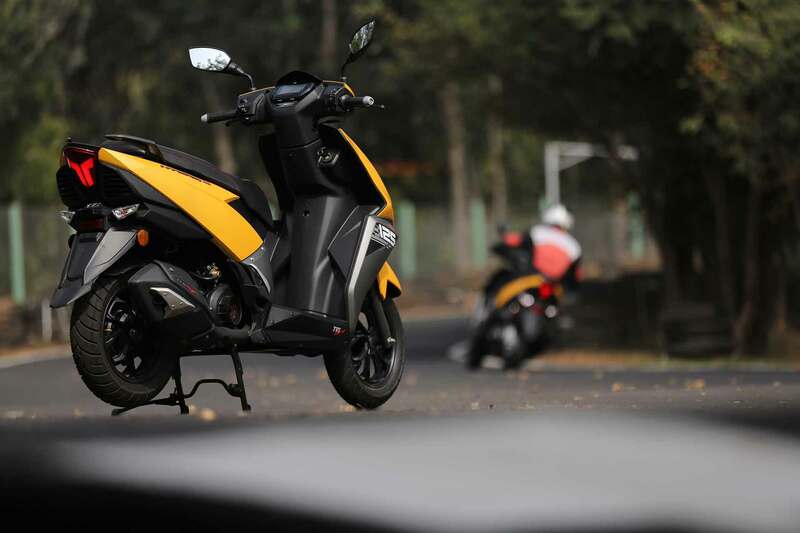 But the NTorq 125 shares an uncanny similarity in its silhouette with the Honda Dio and Yamaha Ray-ZR models. 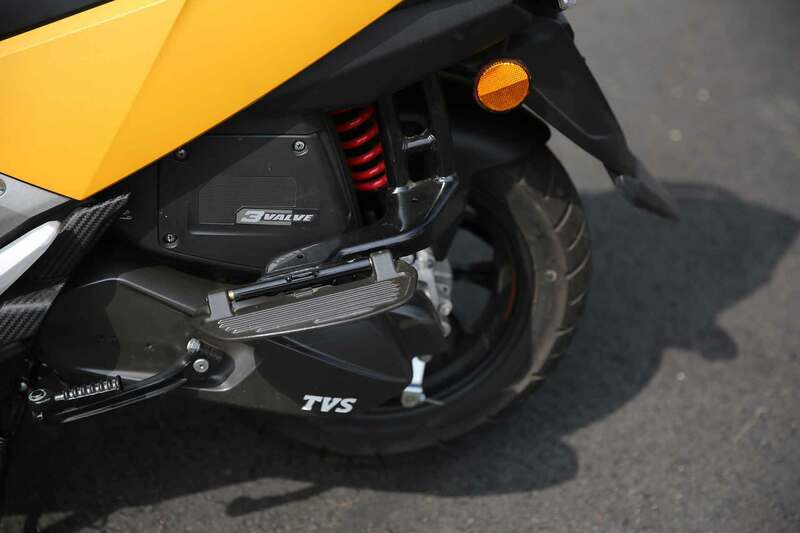 It’s a formula that works, and TVS has added its own little touches to give the NTorq 125 its own identity. Since the Ntorq 125 has been targeted at youngsters and millennials, styling does have a bit of a sporty, futuristic touch to it. The front apron is racked-out and houses a conventional headlight with LED DRLs. The turn indicators have been placed on the handlebar front panel, which appears similar to the Aprilia SR150. The rear section is what steals the show on the NTorq 125. The LED tail-lamp bears the contours of the open section of a Spartan helmet and is flanked by pseudo rear vents. Another visual highlight is the trapezoidal exhaust muffler. The multi-spoke alloy wheels conclude its sport design. It’s also the first production scooter to get an engine kill-switch. Other interesting features would be the external fuel-filler cap above the tail-light and a pass light switch. You get a whole 22 litres of under-seat storage and a USB charger and light. Here’s where TVS has taken features to a new level; the NTorq gets TVS’s iteration of smart phone connectivity called SmartXonnect. While the speedometer is really easy to read, it does have a whole lot of other data — fifty-five different pieces of information to be exact. Of course, 0-60kph times and a lap-timer do seem a bit redundant to me on a scooter. But there are more useful features. 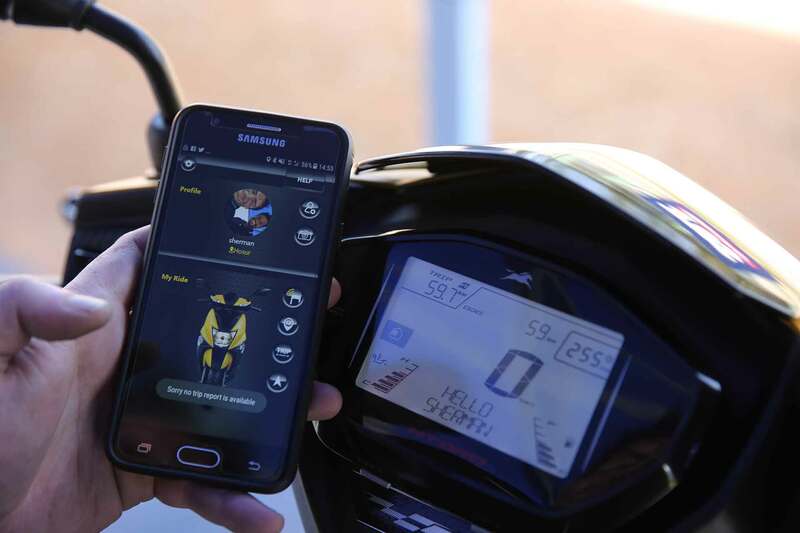 Once you pair up your smart phone via the TVS NTorq app, notifications for incoming calls and messages are displayed on the bottom section of the speedometer console. Another really useful feature has to be the navigation assist. TVS has paired up with MapmyIndia and routes can be selected via the NTorq app on your phone. The speedometer screen then displays navigational information while you’re on the move. You could also save up to ten routes in the app depending on the frequency of usage. This navigation feature specifically is what will change what we expect from modern scooters in India. Other useful features are a last parked location assist and a service reminder. But let’s leave the techo-wizardry aside and see what this scooter is really made of. The fact that the NTorq 125 gets a 125cc powerplant makes it the first TVS scooter to get a 125cc engine. It is undeniably the most powerful TVS scooter to go on sale in India. The 124.8cc displacement air-cooled, single-cylinder motor generates 9.4bhp at 7,500rpm and 1.07kgm of torque at 5,500rpm. The interesting part here is that the Ntorq’s engine gets a 3-valve head. This 3-valve layout allows the engine to breathe better, which not only improves combustion efficiency, but also adds a touch of refinement and performance it. The placement of the body-panels makes the NTorq’s engine quite accessible if it needs to be worked on. Once you get aboard the scooter, the seating position is quite a friendly one. There’s sufficient legroom and the seat is quite a comfortable one. Of course we had a test track at our disposal to test the limits of the NTorq 125. 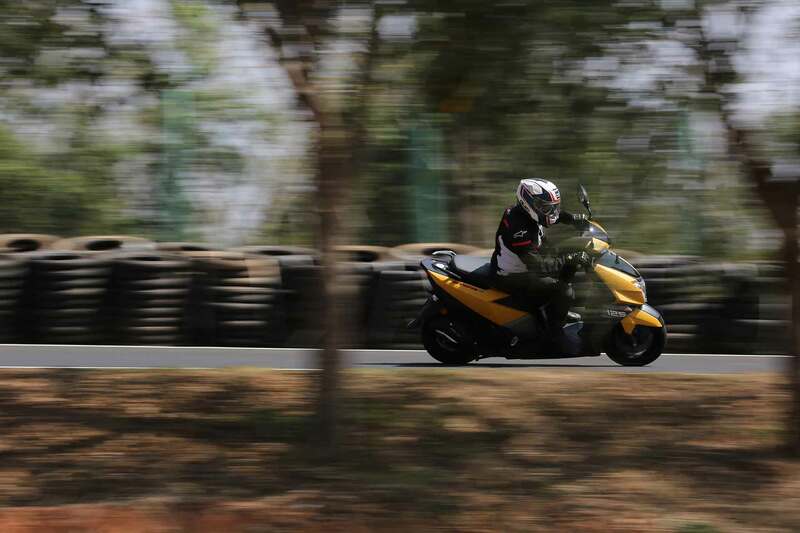 Twist the throttle and power delivery is smooth and progressive up to the 60kph mark. The speeds then climb a bit more gradually to the 80kph mark and then it slowly crawls past the 90kph mark. With my heft of about 80kg and fully tucked in, the digital read out saw 98kph on the track’s main straight, consistently. That was before grabbing a handful of brakes to slow down for the corner. The fact that I’m still writing is a good indicator that the brakes do a pretty decent job. The slightly longer wheelbase than the competition means the NTorq handles corners quite well too. 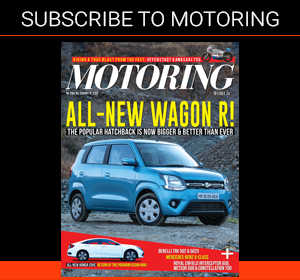 While it hasn’t got the stiffest or squishiest suspension out there, it seems to have found a middle-ground that doesn’t compromise too much on its handling prowess. And having different surfaces and gradients around the test track at our disposal, it’s easy to say that the NTorq will handle bad roads decently well. Overall, TVS have gone and produced a very likeable and fun scooter. It’s got the tech-wizardry to keep the younglings happy, get you where you’re going, or simply tend to the ADHD side of you. 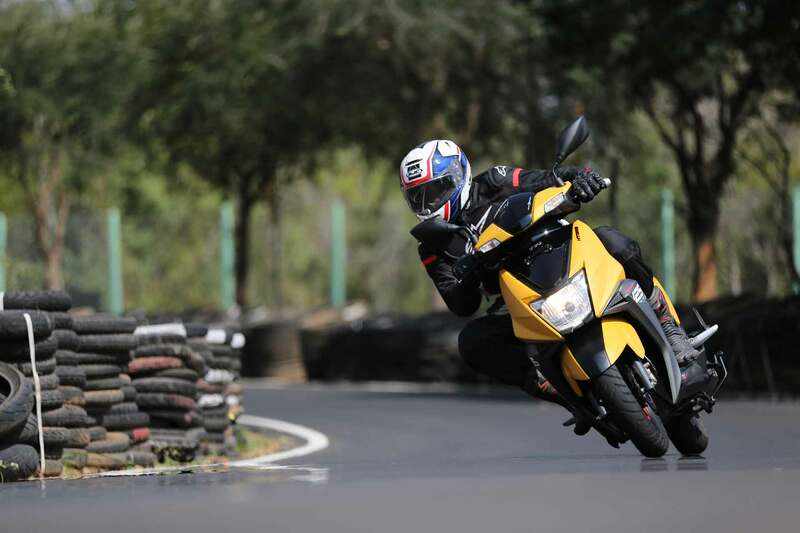 Whichever way you see it, the TVS NTorq is a sort of new benchmark of what can be expected in terms of features in the 125cc scooter segment. In typically TVS fashion, the fit and finish has really hit the sweet spot; from the quality of the panels to the feel of the buttons, TVS certainly hasn’t cut any corners. With all these features on hand, pricing has stayed extremely competitive at Rs 58,750 (ex-showroom Delhi). If you’re looking for a fun, quick and stylish new scooter, the NTorq 125 could be the answer to that. 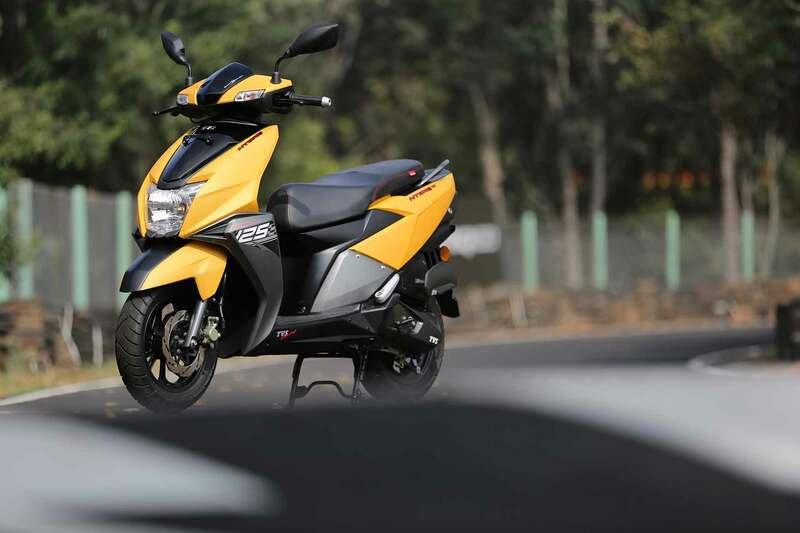 You can have a look at other photos of the TVS NTorq 125 in the detailed photo gallery here.